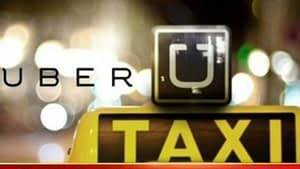 Uber Technologies Inc Chief Product Officer Jeff Holden is leaving the ride-hailing company, an Uber spokesman told Reuters on 17 May, the latest of more than a dozen senior executives to depart since 2017. New Chief Executive Officer Dara Khosrowshahi has been shaking up the company since taking over last August aiming to improve Uber’s reputation after a string of scandals.Holden oversaw Uber Elevate, the company’s flying car operation, which is now headed by Eric Allison, the spokesman said, but declined to elaborate on the reason for his departure. Uber, along with Lyft Inc, scrapped mandatory arbitration to settle sexual harassment or assault claims earlier this week, giving victims several options to pursue their claims including public lawsuits. Uber also launched a new app for its drivers last month, in an effort to improve an often contentious relationship. The Wall Street Journal earlier reported that Holden, who was hired by former Uber Chief Executive Officer Travis Kalanick from Groupon Inc, told colleagues that 17 May was his last day with the company.